Based in the stunning Agordo Valley, Alleghe is a great ski resort in Italy and overlooks the spectacular Monte Civetta. As part of the majestic Italian Dolomites, there is a brilliant 80km of slopes of various difficulties to suit all kinds of abilities. With so many spectacular runs nearby, it’s a fantastic place for a winter holiday. 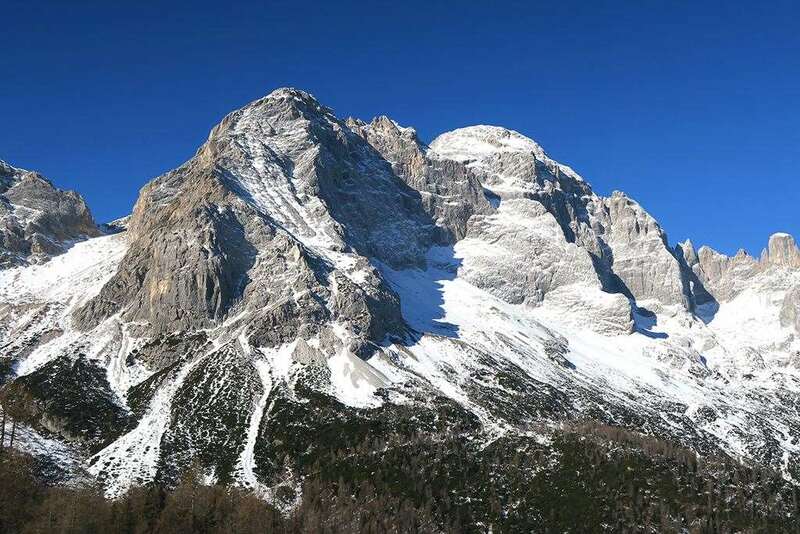 Alleghe makes up a portion of the Civetta skiing district, alongside areas such as Selva di Cadore, Palafavera and the Zoldo Valley. Surrounding the ski area are amazing landscapes that make for fantastic photo opportunities and really give the impression of being in a true winter wonderland. The village’s efficient lift network ensures you can take advantage of the attractions across the region, with quick transport to all the other slopes. The ski season runs from December to April, with 258 snow cannons across the region to provide fantastic coverage. 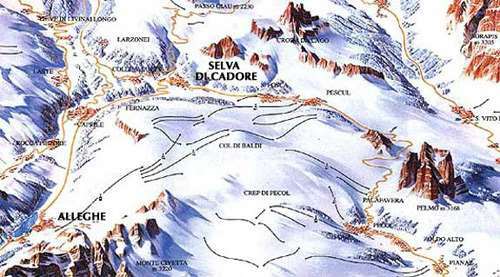 There is a total of 80 km of runs available across the Civetta ski area, spread across 20 pistes. There is a wide selection of runs, with most of them best suited to beginners and intermediates. Toughest of all is possibly the Foppe run. One of the most famous routes in the valley, it is often reserved for international slalom races and is 1,424m long, with a vertical drop of 370m. It’s ideal for experts. For families, the Palafavera area will be ideal. It has a fantastic cross-country skiing centre that offers a great introduction to the sport and ensures extraordinary views. While it is much quieter than many other resorts, there are some excellent attractions to choose from including DJ sets, live music and even a human slingshot! There are some fantastic restaurants, too. Le Grande Guerra provides delicious local food with a cosy atmosphere and great service, while Enotec Alleghe is the best option in the area if pizza is what you’re looking for. Perhaps enjoy a picnic at the wonderful Chiosco da Tobia, where extraordinary views of the local scenery can be appreciated. The closest airport to Alleghe is Venice, which can be reached by car in around two hours.